Picture this. You just got to work. You put down your bag, pour a nice mug of coffee, fire up your Mac, and spend a few relaxing minutes opening all your essential apps and files and arranging the windows just the way you like them. Wait. That’s not relaxing at all. 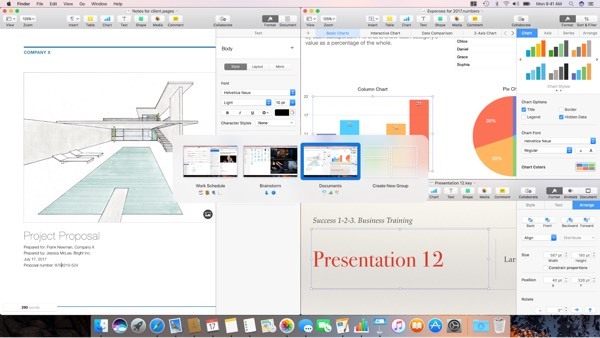 If the morning is your most productive time, Switchem can help you get right to work by grouping apps, windows, and files into groups that you can open all at once, right from Switchem’s menubar app. 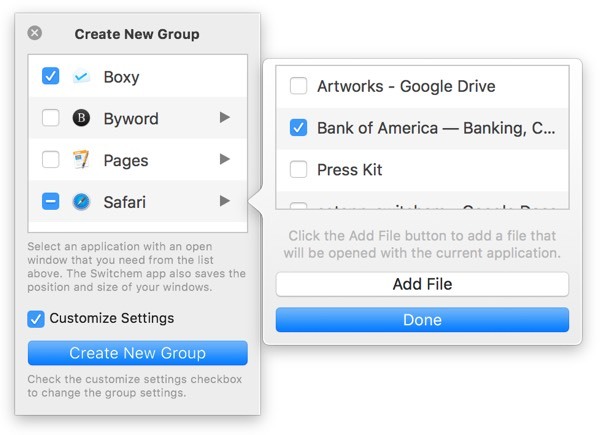 You could even open each Switchem group in separate Desktops using macOS’s Spaces feature, and then use four fingers on your trackpad to swipe between Desktops. But mostly, Switchem can help you focus on one task at a time. And it’s new to the Setapp family. 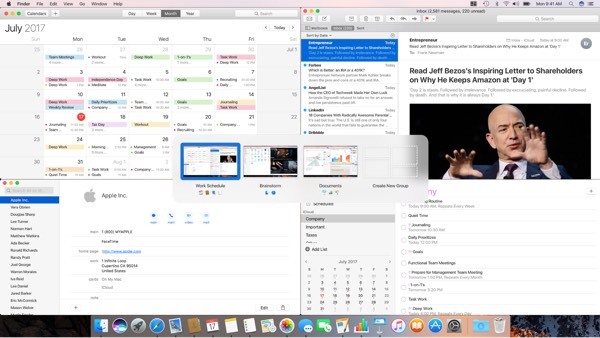 So, how to use one of the most powerful application and window switcher? Then the app just hangs out in your menubar, and you can get to work. First, open all the apps you need to get a task done. Maybe if you’re a coder, you’re using Setapp developers apps like CodeRunner, Expressions, and Base. Or maybe you’re a writer, and your go-to writing applications Ulysses and Manuscripts. Whatever you need, get all the apps open and arrange the windows the way you like first. Once you have the windows the way you like them, press Option-Tab, or click the Switchem menubar icon and select Create New Group. A popup appears to let you confirm which windows you want in the group. Check their boxes and click Create New Group again, and you’re all set. To have Switchem always open the same file, click the arrow next to an application’s name in the popup, and another pane will appear to let you drag in or select a file. For example, I have a spreadsheet in Numbers that I frequently update with data from a website in Safari. Before Switchem, I had to resize my Safari window, drag it all the way left, and layer the Numbers window on top so I can still see what I need in Safari, while entering the data into Numbers. Every. Single. Time. But now I have that as a Switchem group, so all I have to do is press Option-Tab, and then tab to that group, and the spreadsheet file opens automatically if I don’t have it open already. You can tab between all your groups (or create yet another group) by pressing Option-Tab, which cycles through your Switchem groups in the same way that Command-Tab cycles through your open applications. If you want to tab backwards between groups, you can even press Option-~, which is easy to remember since that’s the key right above Tab. Each group in the list also has a number, so you can jump right to that group by hitting Option-Tab to open the list and then Option-Number to select one. Switchem even has key commands to jump between the windows within a group (Control-Tab, Control-~, and Control-Number), which can often be handier than pulling your hands off the keys to click a window. Plus, if you use macOS’s default Command-Tab shortcut to switch applications, you might find yourself leaving the Switchem group by accident. If you aren’t into Switchem’s default key commands, you can customize your own in the preferences, too. But the defaults are a good start, since they’re so close to Command-Tab, which makes them easier to remember. Keeping everything together can save you time. But it also serves as a little reminder to look for ways to automate other repetitive tasks too. After all, whenever you’re doing anything on your computer over and over again, that’s an opportunity to find a way to script it, or automate it. Have your computer work harder—that’s what it’s there for! Setapp is great at this. Here are a few examples of apps and utilities in the Setapp that can help you offload tasks to your computer. automate backup with Get Backup Pro. keep files on your Desktop organized and easy to find with Declutter. keep your Mac’s hard drive optimized with CleanMyMac X.
track how you spend your workday with Timing. rename huge groups of files with Renamer. stop typing the same things over and over with Rocket Typist. keep a local folder synced with a remote server using ForkLift. you can even have your Mac track your data usage and prevent overages with TripMode. Anyway, once you get in the automation mindset, you’ll find tons of chances to put the software in Setapp to work. Switchem is just the beginning! Let us know how you like Switchem—and how Setapp is helping you save time by having your Mac take over tasks you used to do yourself.